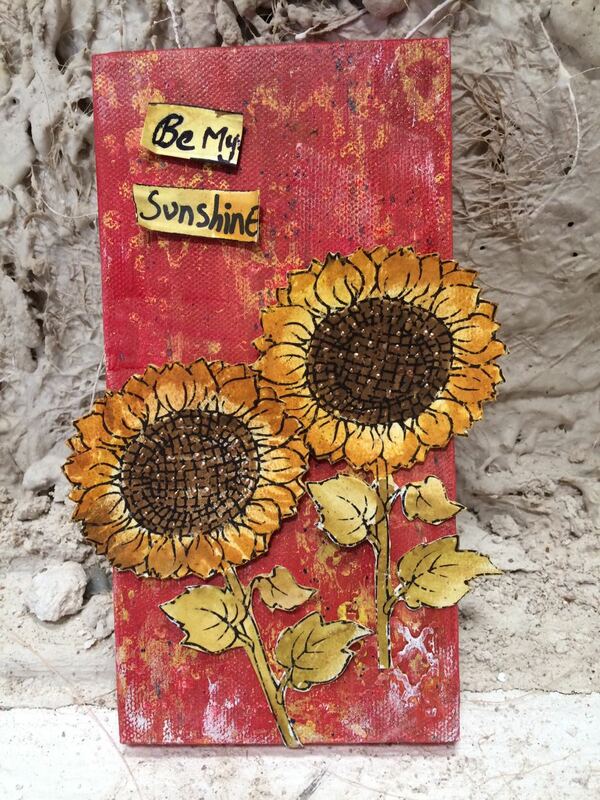 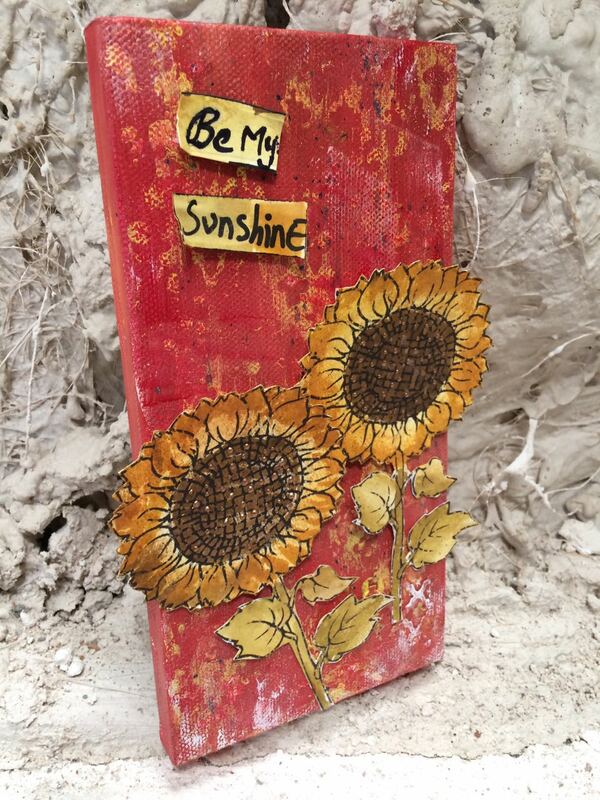 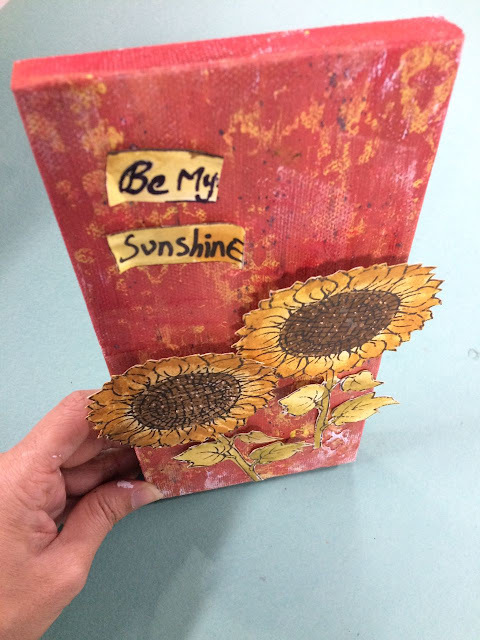 Hello my friends..here is my canvas 9 by 5 inches with cute sunflowers and a beautiful message "Be my Sunshine".. The Digi image of sunflower is sponsored by Robbin fetish this week at Brown sugar challenge...Also it offers the winners awesome Digi image..if you are looking out for some Digi Images, then check out this week challenge at Brownsugarchallenge. 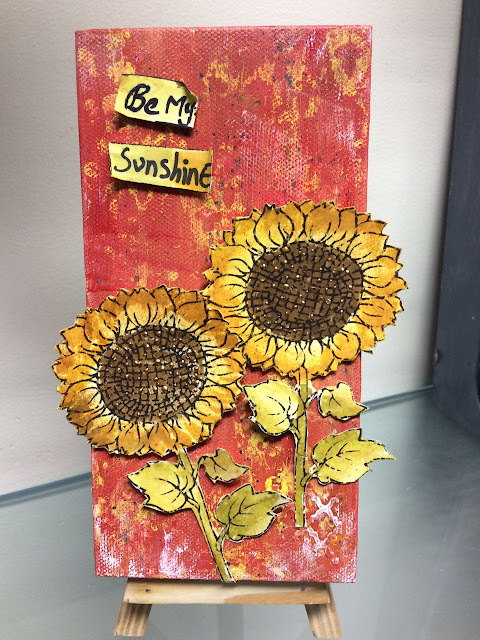 The canvas is painted with acrylic colors and image colored with Zig markers and distress crayons..
lovely work roshini , truly beautiful.